Do you notice that you or a loved one has trouble hearing? If so — we can help! 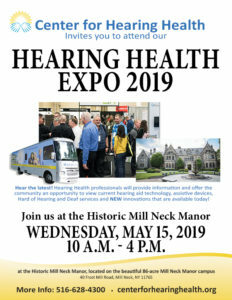 Get a FREE hearing screening in the CHH Audiology Van. Hear the sounds of spring again! Some hearing aid checks and consults can also be performed. This is part of Project Independence. Project Independence is a program of the Town of North Hempstead’s Department of Services for the Aging (DOSA). The mission of Project Independence is to assist and enable aging residents of the Town to remain in their own communities and familiar surroundings as they grow older, if this is their choice. This multi-service initiative involves coordination with many community partners. 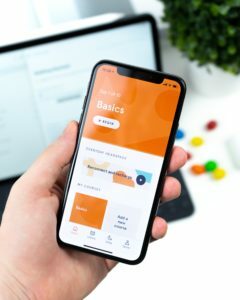 Get the Most from Technology! Do you have questions on how to connect your hearing aids to your TV or your phone? Do you need to download Apps? Stream phone calls? Make adjustments to your hearing aid? We will help your with any issues. This service is open to all Center for Hearing Health patients. Please reserve early, first-come, first-served. We’re here for you every Wednesday morning.